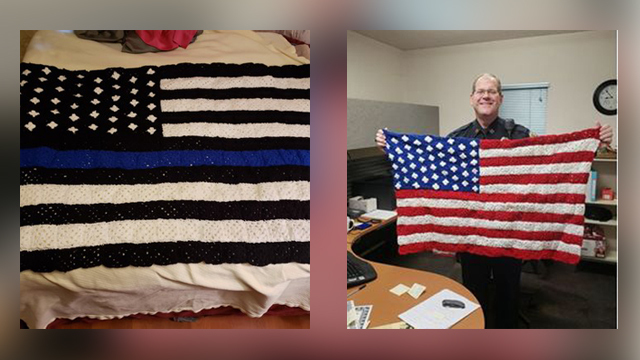 WICHITA, Kan. (KSNW) - A Wichita woman who taught herself to crochet more than 30 years ago is using her skills to bring happiness to law enforcement officers and their families around the country. Tammy Volbrecht has crocheted everything from baby hats and gloves to blankets and even a Christmas tree. After being laid off by Sears years ago, she began using her free time to make things for others. "I always just enjoy creating for others," said Tammy. 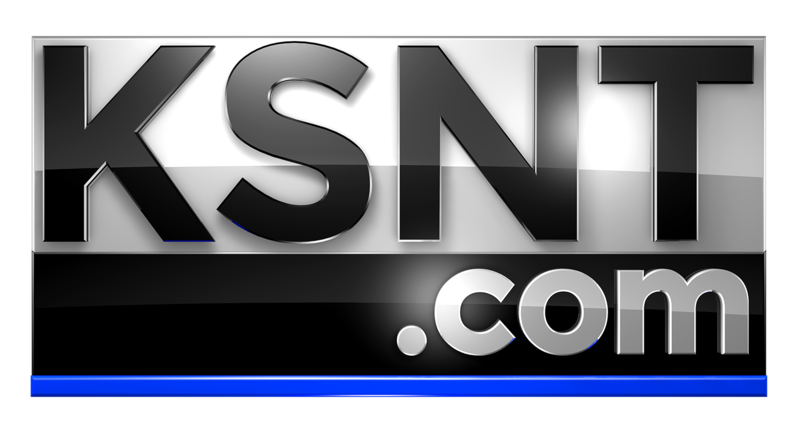 After watching the news coverage of the death of Sedgwick County Deputy Robert Kunze, she felt the need to send something to his family. So, she crocheted a flag. "Something, I did one day just to see if I could make a flag," said Tammy. "Then, it kind of grew from there." It grew quite a bit. Tammy has sent out dozens of gifts to officers all over the country, pregnancy and crisis centers and family members. She also made a flag for retired Wichita police officer Brian Arterburn, who is recovering from injuries after he was ran over in 2017. "People need little bits of hope," said Tammy. "It's kind of mean out there right now, and people need that hope." She said she thinks about the families of the law enforcement officers as she's crocheting. "What's her life like, what does she think about, what does she worry about every day?" said Tammy. Another person who takes a lot of pride in his gift from Tammy is retired Wichita police officer Doug Nolte. Nolte is now the chief executive officer for the Union Rescue Mission but has the flag Tammy made hanging high in his new office. "I think it's beautiful," Nolte said. "In 26 years of law enforcement, now, there are a lot of things that are strained in terms of community and police relations and recognizing that someone cares enough to do a very nice gesture on behalf of law enforcement. When you think about the time that it takes to craft one of these flags, that's no small task." The next project for Tammy is a gift for Wichita Police Chief Gordon Ramsay. It will include a star for every fallen Wichita officer, including K-9 Rooster, who was shot and killed in the line of duty in 2017. She also plans to make one for Sedgwick County Sheriff Jeff Easter. Tammy doesn't do any of this for herself, though. Instead, she does it for everyone else. "You make something to make somebody feel better," Tammy said. "You don't make something to get something from it."